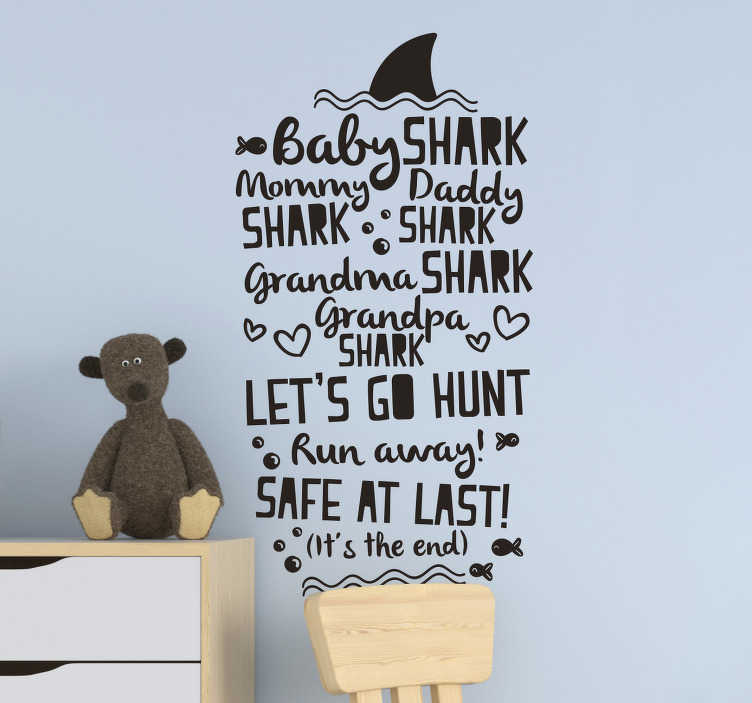 Baby shark, mommy shark, daddy shark, grandma shark, grandpa shark, let´s go hunt, run away! Safe at last! If you recognise these lyrics, you are probably hearing the tune right now too because it truly is one of the most catchy songs ever made! That is why we felt it necessary to put together a lyrics wall sticker, ideal for childrens bedrooms everywhere! If you would like some baby shark wall decor then this might just be the one for you!